Instagram has become a little addicting these past month or so and I have seen so many inspirational pictures too that I just wanted to try it out more. 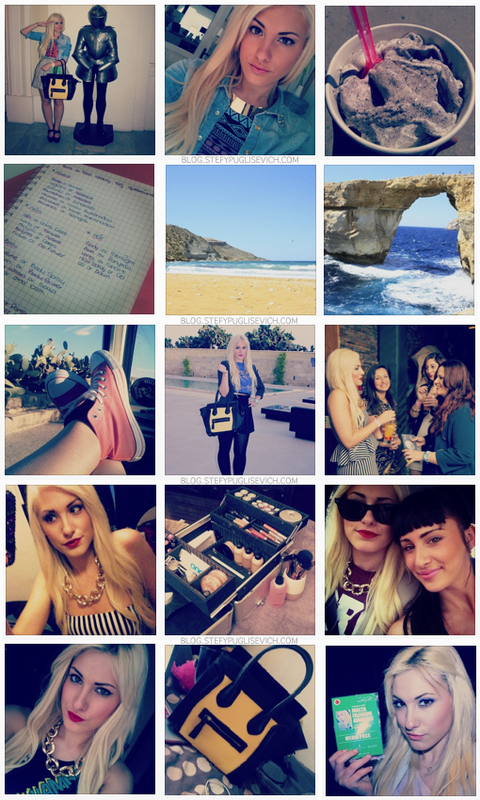 Below I have a couple of snap shots taken over about 2-3 weeks with some shots from my day in Gozo. It's Saturday today and I feel like being very productive so I will be getting stuck into preparing alot of things for the coming weeks. Just to give you a short update, I decided to sell my Camera my Canon Eos 1000D and I'm also selling my Singer Sewing Machine. The reason being is that I want to upgrade to something a bit more pricy and combining both Video and Stills for Youtube and my Blog so it's going to be a huge investment and I had a good think. Just stumbled upon your blog, loving it!! yes i didn't manage to go to alot of them but i enjoyed the bridal one!